☑More Durable: Adopt premium aluminum alloy material and anti-oxidative technology to ensure more durable to use. 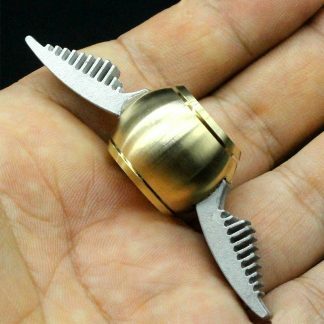 The surface of the hand spinner will not get rusty after long time use. 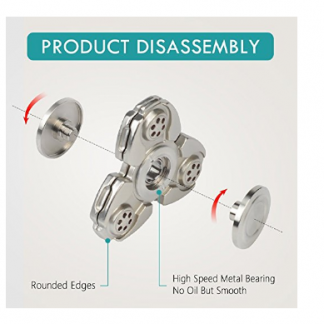 ☑More Stable: Advanced bearing is removable and easy to clean and maintain. 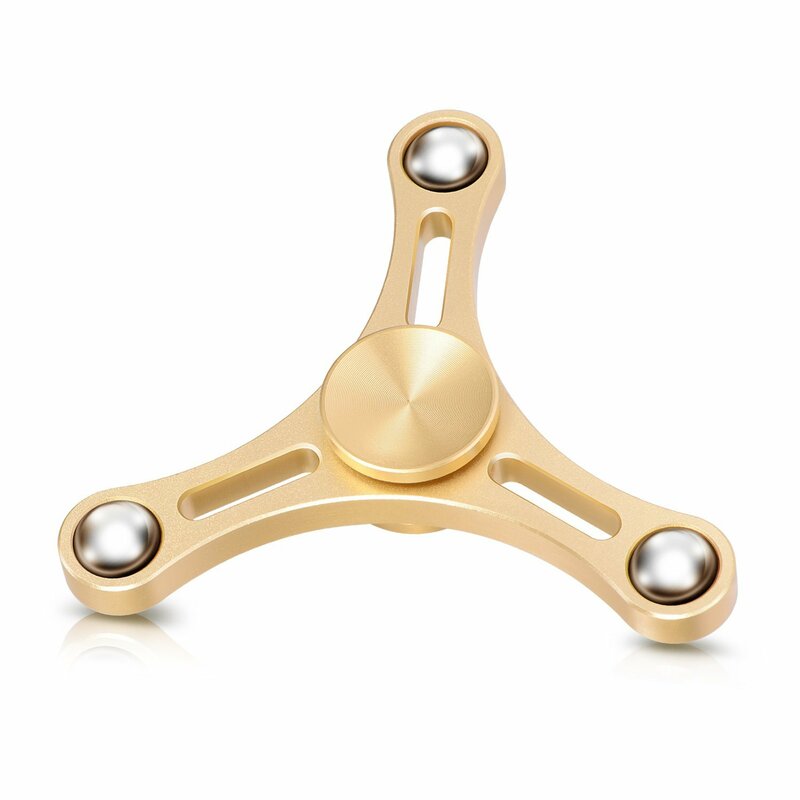 Ball bearing provides more stable and smoother spin and the average spin time can last 2 to 3 minutes. 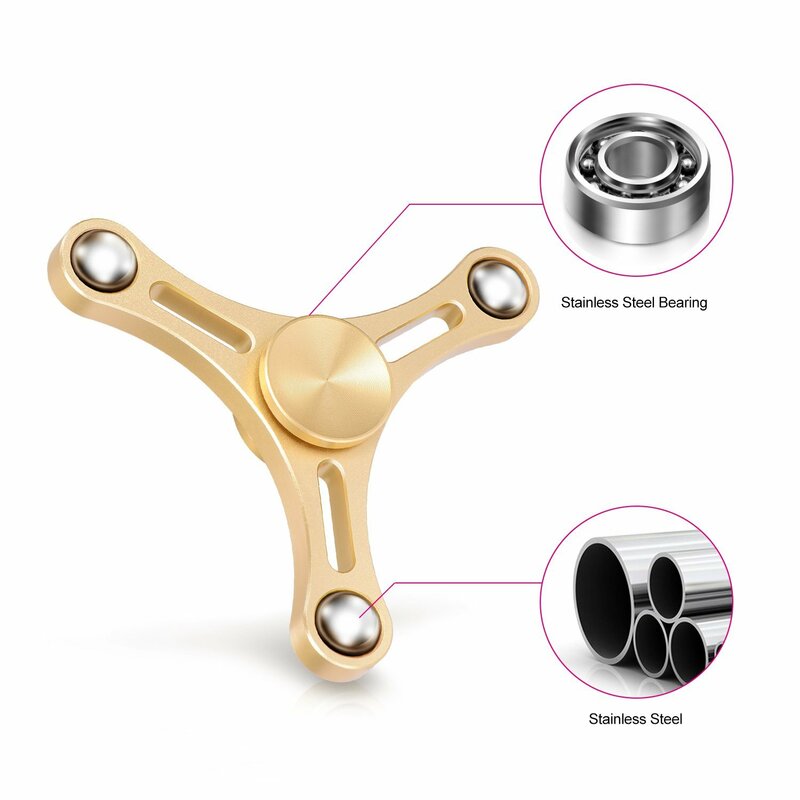 ☑More Silent: The mute bearing effectively solves the problem of making noise, so you can hardly hear noise while spinning it. Silent environment helps you concentrate your mind easily. ☑More Portable: Lighter than the brass one, and safer for kids, no need to worry about it may hurt fingers. 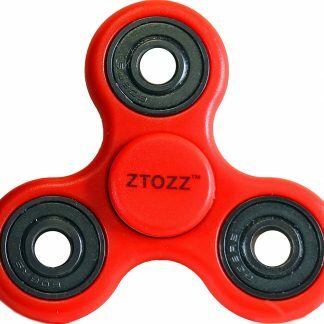 Put it in your pocket and spin it anytime and anywhere to relive stress and anxiety. 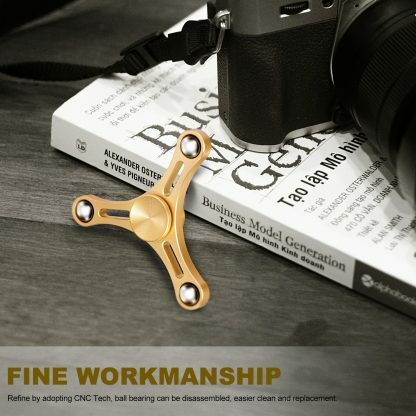 ☑More Exquisite: We adopt CNC technology to shape each spinner. The spinner with “slim waist” is more beautiful and fashionable. Three inlaid steel balls make more gorgeous spin. very great for people who meets ADHD and autism. It is a wonderful gift for kids, teens and adults. Superb workmanship makes a premium hand spinner. Slide surface gives a good touch feeling. CNC technology makes a well-balanced shape to ensure smooth and stable spin. 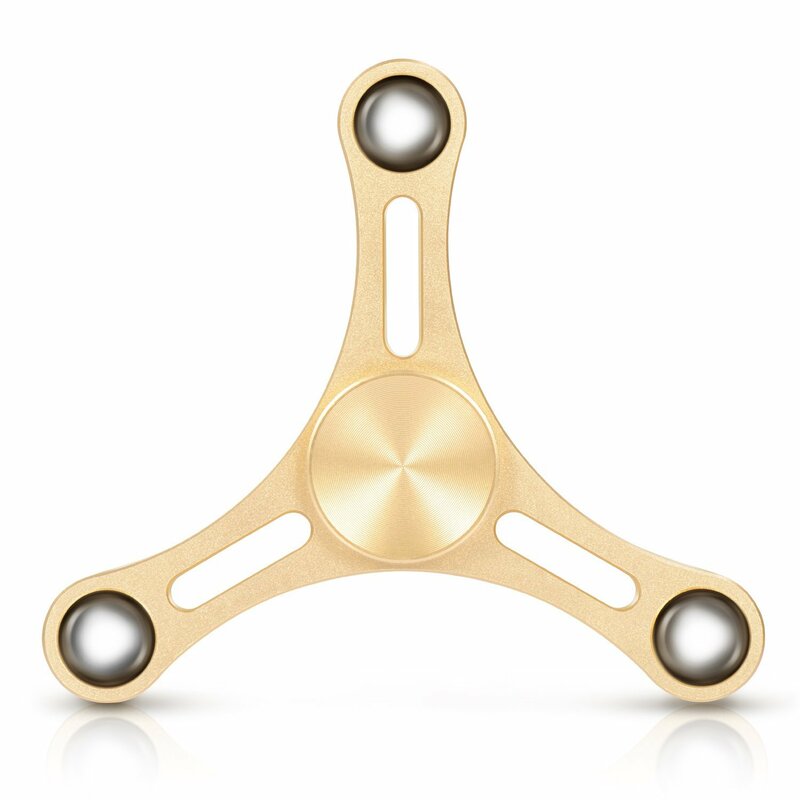 The spinner can spin about 2.5 to 3 minutes, but it also depends on strength you spin it. Spin with two fingers to practice skills and balance. 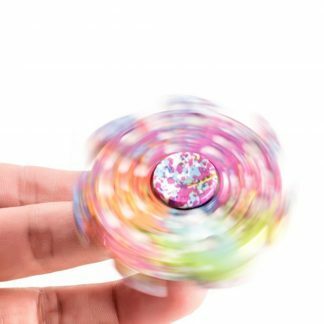 Spin with single finger to challenge more difficult skills. Spin on the desktop to enjoy quick and smooth spinning.